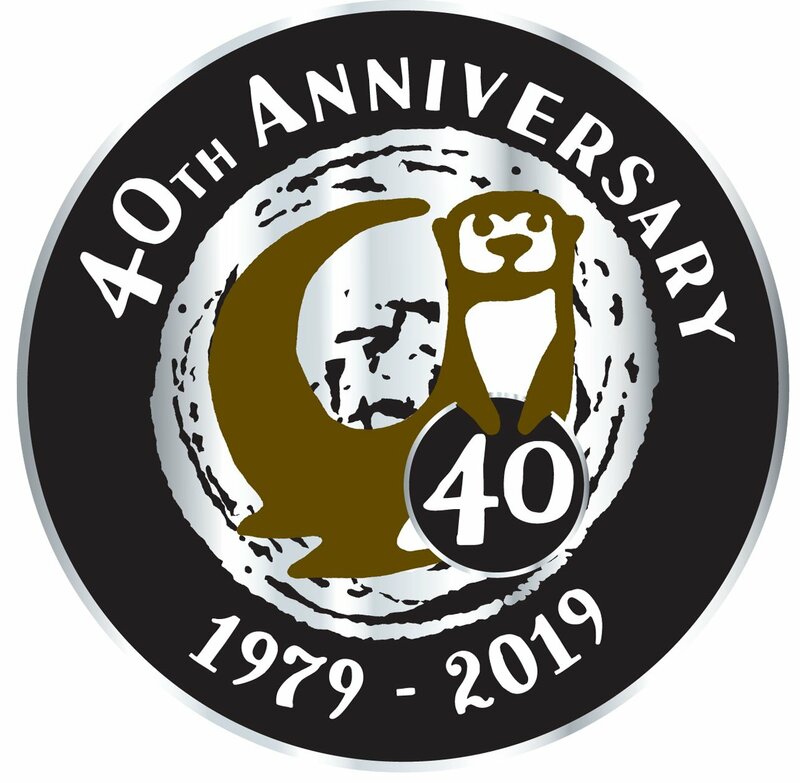 Welcome to 2019 and we're celebrating 40 years of Otter Vale's Devon Chutney! Happy New Year to you and yours! We’re hoping that you’ve all had a fantastic festive season filled with food (locally sourced where and when possible of course! ), fun, family and friends. We’ve had a lovely break over the Christmas period and were delighted to be able to spend much-needed time with our family in Devon and Derry/Londonderry/Donegal. We’re back to the kitchen tomorrow, but we’re very excited about what 2019 has in store for us, so we just had to share this news with you today. 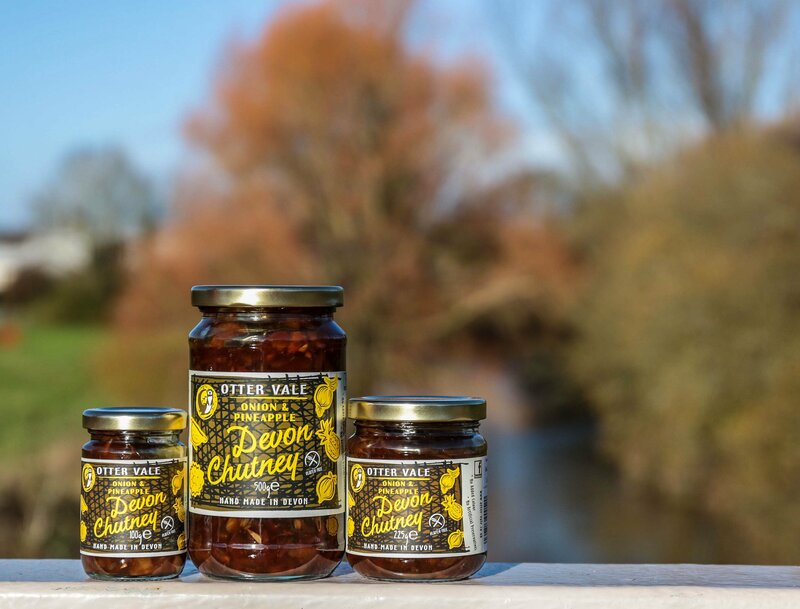 2019 sees the 40th birthday of Otter Vale’s much-loved Devon Chutney/Onion & Pineapple. Winner of a 2006 Great Taste Silver award, our original (and still the most popular) product is well known throughout Devon and the South West, and its popularity goes further afield. We don’t get out much these days, so we’re very keen to have any excuse to celebrate, and our 40th birthday seems like the perfect time to say a big “THANK YOU” to our people, our county and our roots. So, after much consideration, our family has decided on two charities to support in our anniversary year. From 01/01/2019 to 31/01/2019, we will donate 5p from every 225g jar, 10p from every 500g jar and 25p from every catering tub of Devon Chutney we sell. The amount raised will be shared equally between the Devon Air Ambulance Trust and the Westcountry Rivers Trust. Devon Air Ambulance Trust needs no introduction, and our reasons for supporting it will be obvious. Our air ambulance service is there for all of us who live and work in the Devon, and all our visitors, as well as those in the surrounding areas. The helicopters require constant maintenance, the crews have a huge amount of ongoing training, more equipment is always required, and finding and developing local/community landing sites is always high on their agenda. Many of us know someone who wouldn’t be here without the air ambulance and we hope that our support, no matter how small, will help them keep looking out for us all in the South West. 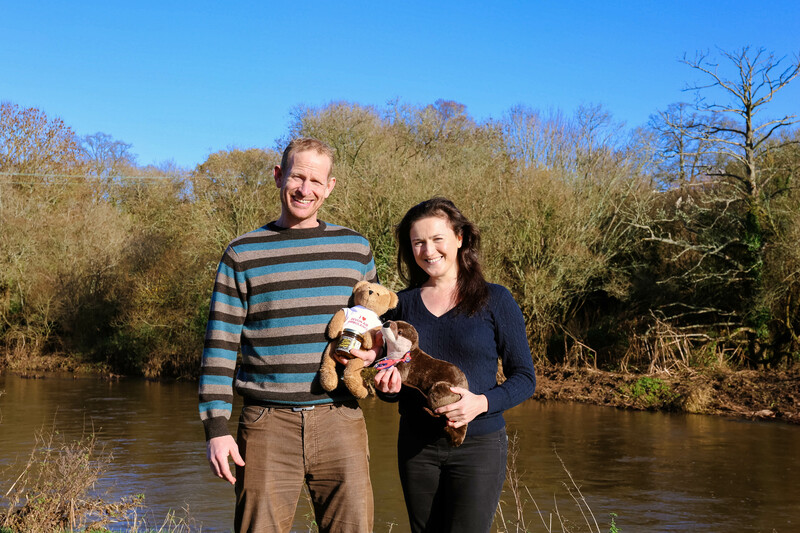 The Westcountry Rivers Trust works tirelessly to conserve and protect rivers in the South West, whilst educating and engaging schoolchildren and the local communities around them. With a team including fisheries scientists, farm advisors, river scientists, monitoring experts, GIS operators, ecologists, data analysts, finance officers and volunteers, their work is informed by the best available scientific evidence. 2019 also sees them celebrating their 25th anniversary! Building strong relationships with farmers, land owners and the public, the Westcountry Rivers Trust helps protect the rivers in our region which can help to save money for farmers, lower costs for water companies, boost tourism, reduce the need to dredge our estuaries and even benefit human health. As our roots are in Budleigh Salterton at the mouth of the River Otter, we thought it only appropriate that we say thank you to the river valley we take our name from. Also, everything we make at Otter Vale is designed to be enjoyed as an ingredient in or an accompaniment with produce and wares from our local farmers and growers, suppliers and customers; and we will continue to champion what they do, how they do it and where they do it throughout the year and beyond. 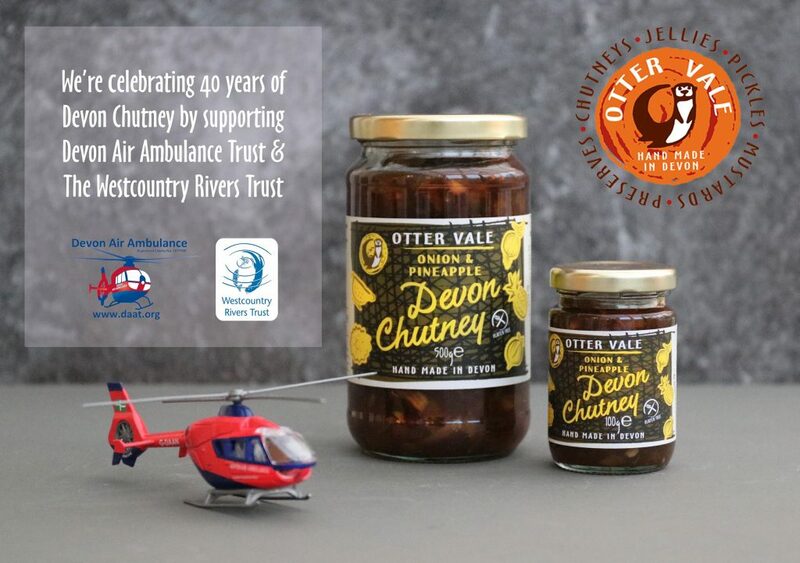 The Westcountry Rivers Trust have kindly allowed us to focus any donations Devon Chutney raises in our anniversary year to support a community education and conservation project in the Otter Valley. As they are also celebrating their 25th anniversary, the timing is perfect! We look forward to telling you more about all these plans in the near future. So, thank YOU for supporting us over the last 40 years, and for supporting these two incredible charities in 2019. 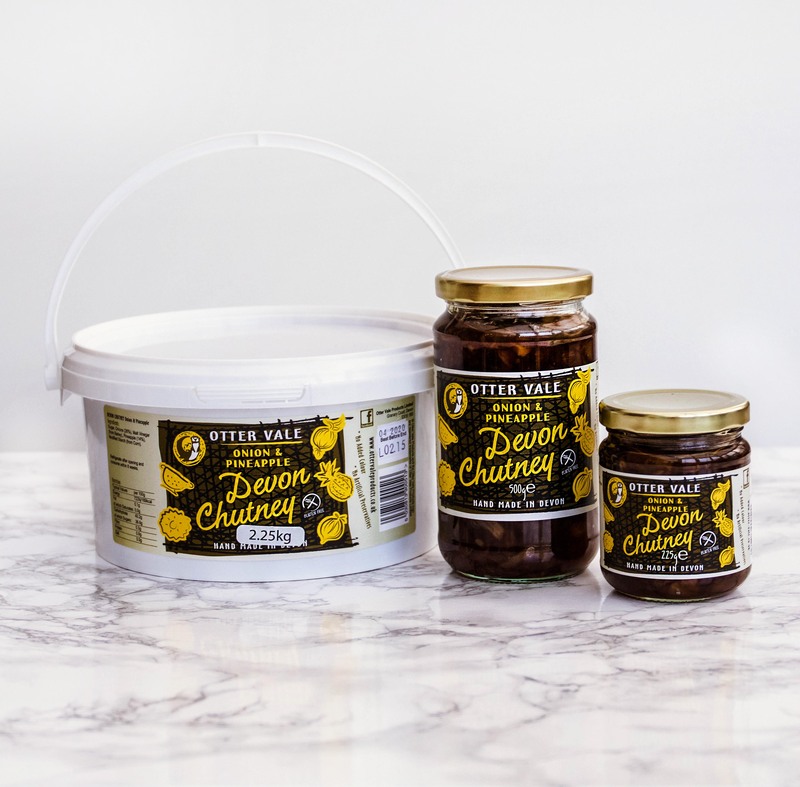 Our family looks forward many more years, and to having a bit of fun with you and Devon Chutney in 2019. Keep checking back for more! Wishing you the best of everything in 2019, from the Laxon family and the Otter Vale team. Wow, Found your Apple & cider chutney, great with crackers & cheddar cheese. We will be order some when we get back home. That is so very kind of you to say; thank you and we’re delighted that you liked it enough to say. Let us know if we can help find it for you!